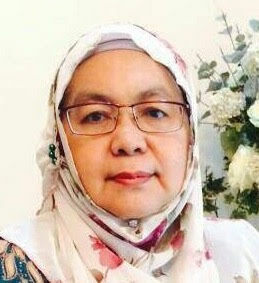 Wan Nor Ruhaini was born in 1958. Wan Nor Ruhaini's father is Wan Yahya Wan Sulaiman and her mother is Nik Nafisah Nik Osman. Her paternal grandparents are Wan Sulaiman Wan Bakar and Wan Tijah Wan Mat Din; her maternal grandparents are Nik Osman Nik Li and Wan Zabidah Wan Mohd Amin. She is an only child. This page is within a frameset. View the entire genealogy report of Wan Yahya families, or surname index of Wan Yahya pedigrees or report summary Wan Yahya heritage from 'AnokCucuKgBerange'.